Take your Digital Workplace to the next level by extending your experience with the Igloo open development framework and SDK. Our Digital Workplace development framework provides everything you need as a developer to extend, enhance, or integrate with the Igloo digital workplace platform. 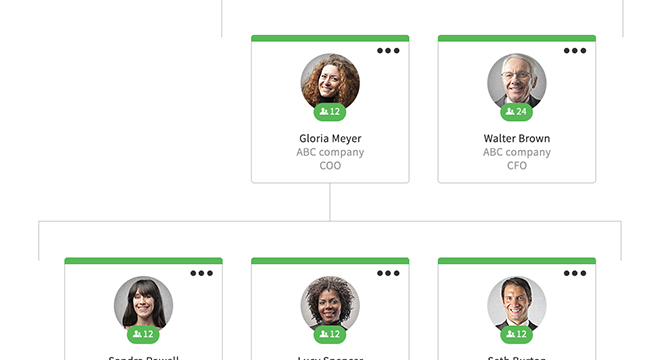 A scalable solution for building cloud-hosted integration widgets or web applications that can be added to any Igloo page via the drag-and-drop widget carousel and easily configured by users. Incorporate custom workflows using popular integration platform as a service (iPaaS) solutions such as Zapier and Built.io, or work with your preferred Enterprise Service Bus or on-premises solution. Design custom global CSS themes that are hosted in an Igloo-provided repo and made available through your Igloo Theme Library. A robust and flexible solution for building your own applications. From desktop apps that call information from Igloo using our API, to web apps within Igloo’s HTML content widget. Everything is possible, from an embedded world clock to a mobile or desktop client. The Igloo SDK enables developers to leverage their existing expertise and technologies to build complex functions with just a few lines of code. Reduce development and testing costs while simplifying development, management, and deployment. Quickly and easily deploy integration widgets and themes to an Igloo-provided repo using our CLI. Bypass the interface with REST APIs to perform actions on the Igloo platform programatically. Comprehensive documentation, including code samples, tutorials, best-practices, and advanced properties for developers. Many of our customers, developer, and alliance partners are already using the Igloo SDK for their integrations. Utilizes OAuth to authenticate a user to their Google account. 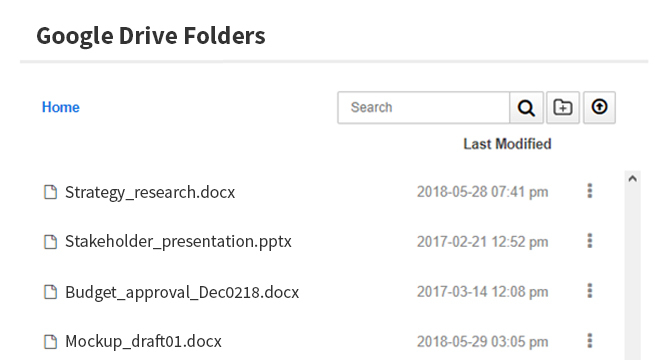 Contents of a team or users Google Drive is rendered within Igloo based on the data retrieved from the Google API. Utilizes OAuth to authenticate a user to Azure AD or Workday. Reporting relationships and people profiles are retrieved with the Microsoft or Workday API and rendered as an interactive experience within Igloo. Utilizes SSO or Igloo Auth to authenticate a Windows user to Igloo. 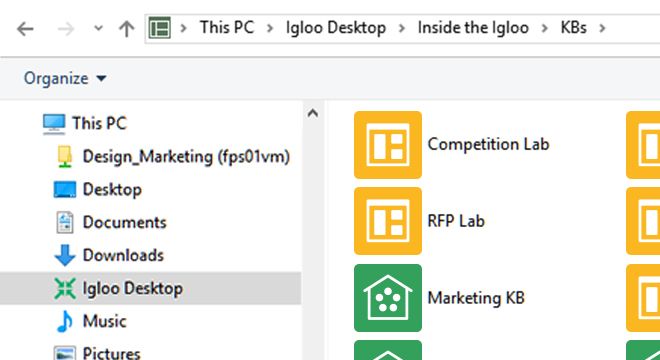 Windows Explorer is used to access, move, download, and upload Igloo files, without syncing them locally, using the Igloo API. The Igloo Developer Support package is designed for customers who plan to build, deploy and maintain their own custom applications, integrations, themes, and workflow automation, using their own in-house or outsourced development staff. This package includes access to Igloo development experts for troubleshooting your development efforts and guidance on the use of Igloo APIs and tooling. For customers and their development vendors, Igloo extends the Developer Support package as part of our Gold and Platinum Product Support packages. For all other developers, we are happy to provide a stand-alone Developer Support package. Our Preferred Developer Partners are highly trained and experienced building on the Igloo platform and are an excellent resource for customers who require external development expertise. Vehikl is a team of developers and designers building awesome digital products. We work with clients to create a variety of custom web applications and integrations using Lean Agile development techniques. For 2 years Vehikl has worked with Igloo to build custom integrations like the Salesforce, Zendesk, and Slack widgets. Our customers range from scaling startups, to larger established firms that need to add velocity to their software projects. We integrate fully with existing workflows and as a consultancy and development partner, Vehikl provides a flexible, scalable option for custom web development and design.